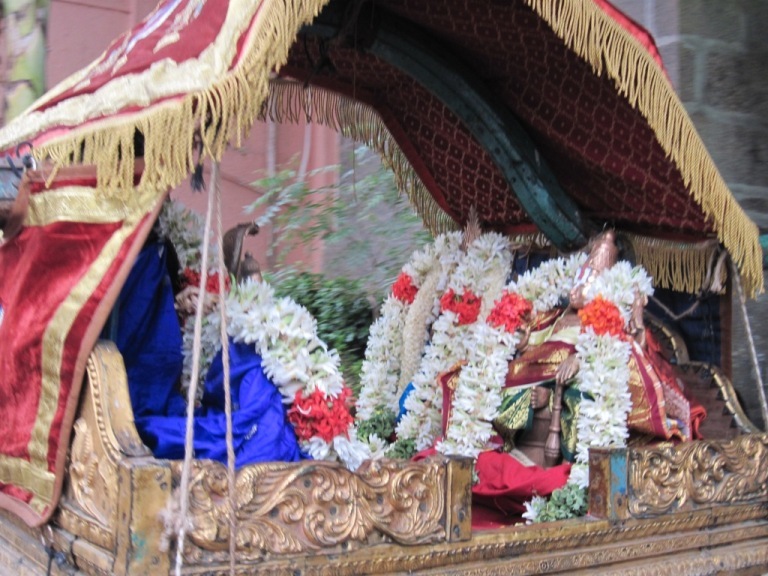 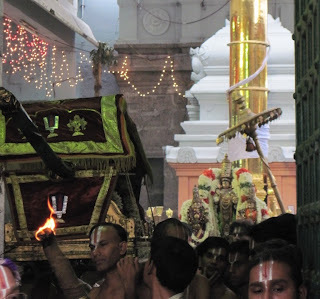 The Aani Brahmothsavam of Swami Thelliya Singar [Azhagiya Singar] commenced this morning. 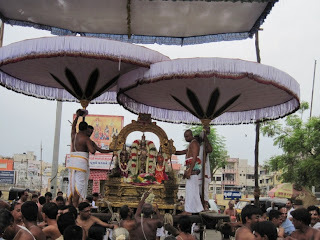 After dwajarohanam (ceremonial hoisting of flag) there was the grand procession of Swami in Dharmathi peedam. Here are some photos taken this morning. 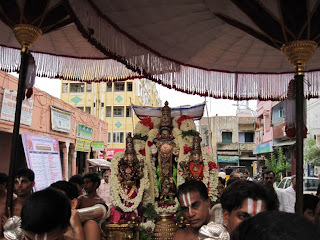 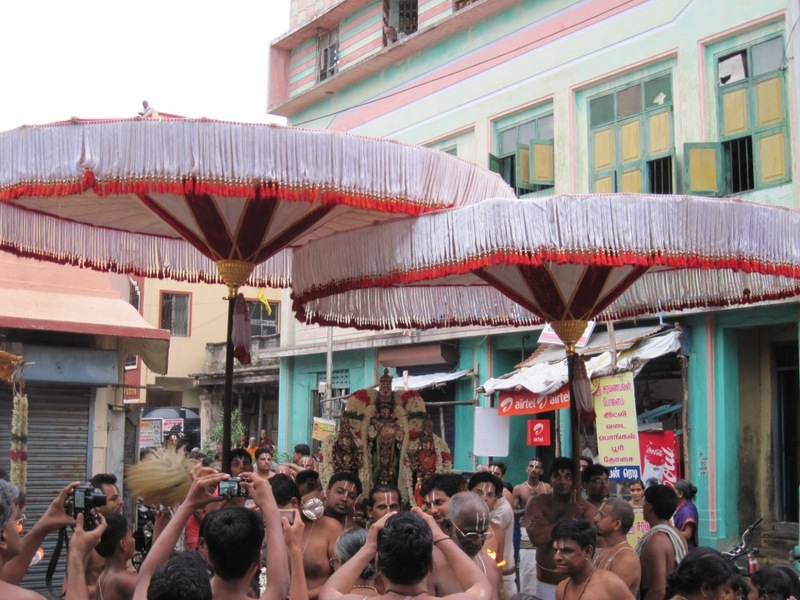 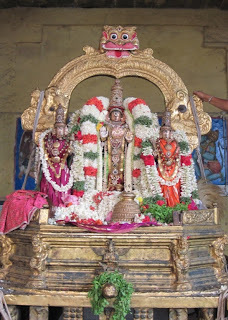 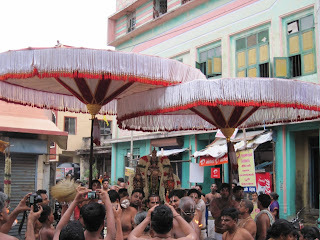 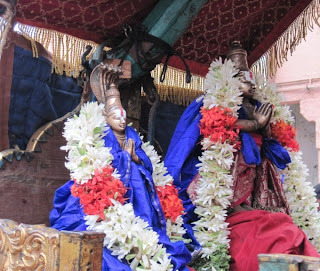 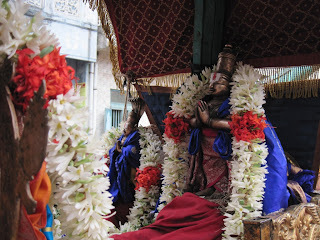 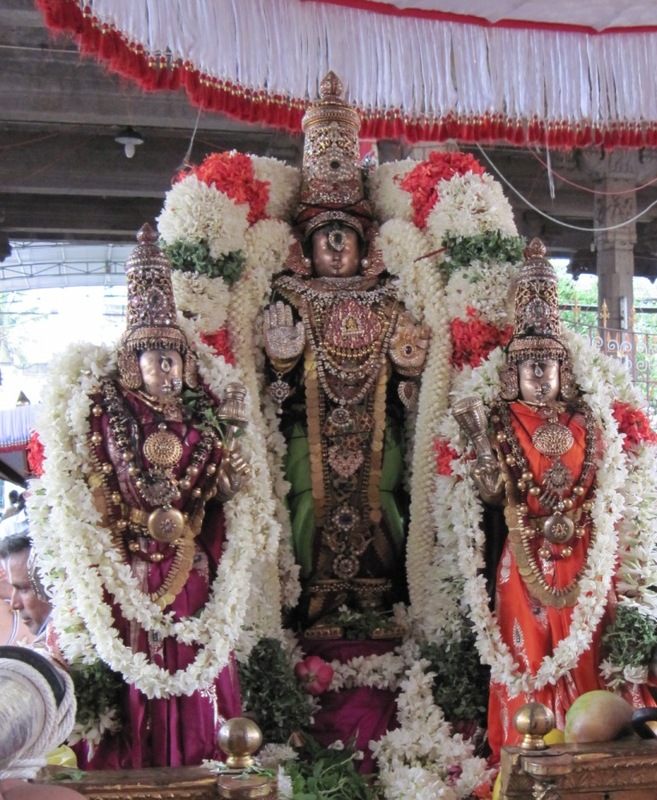 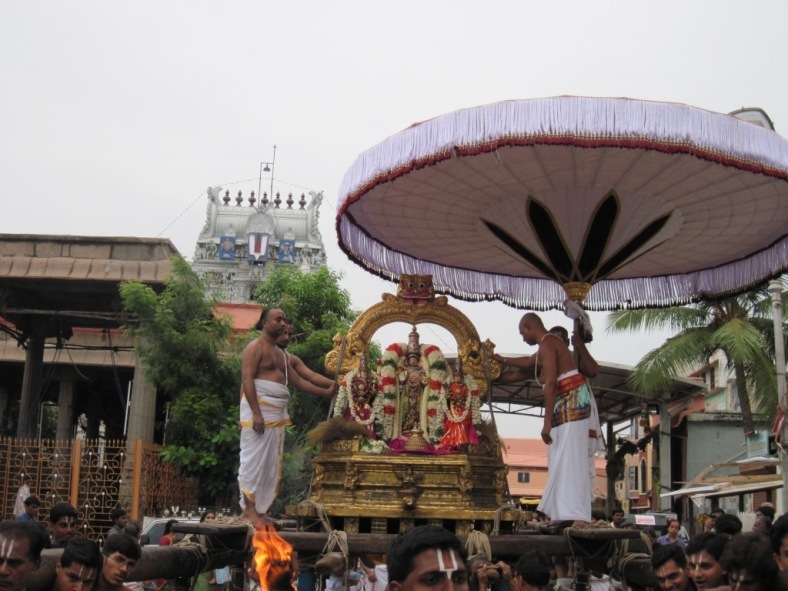 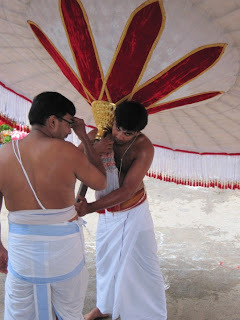 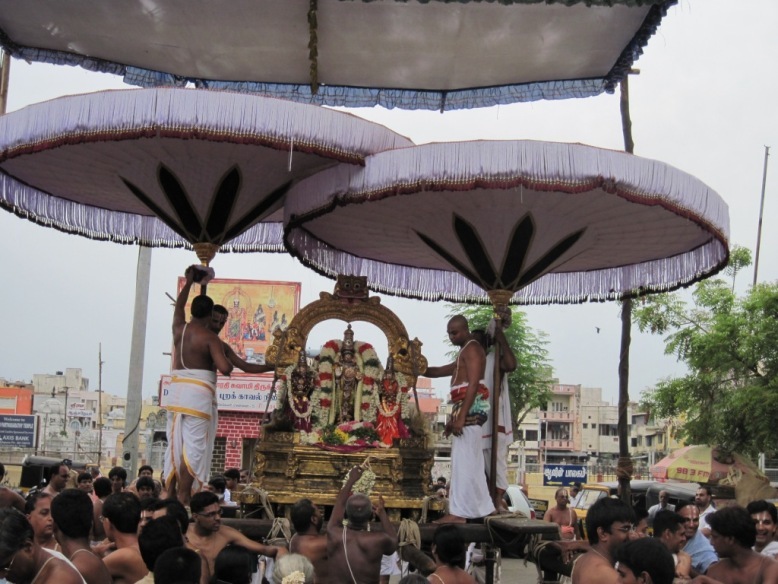 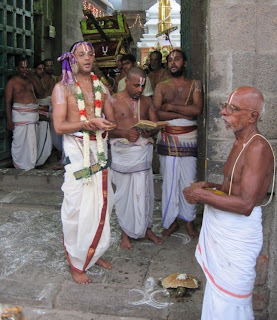 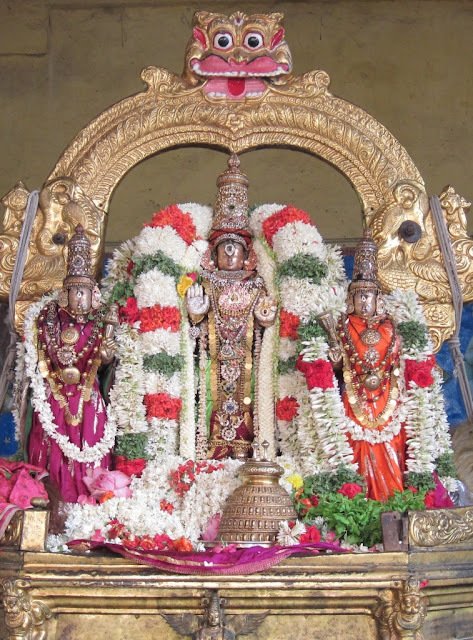 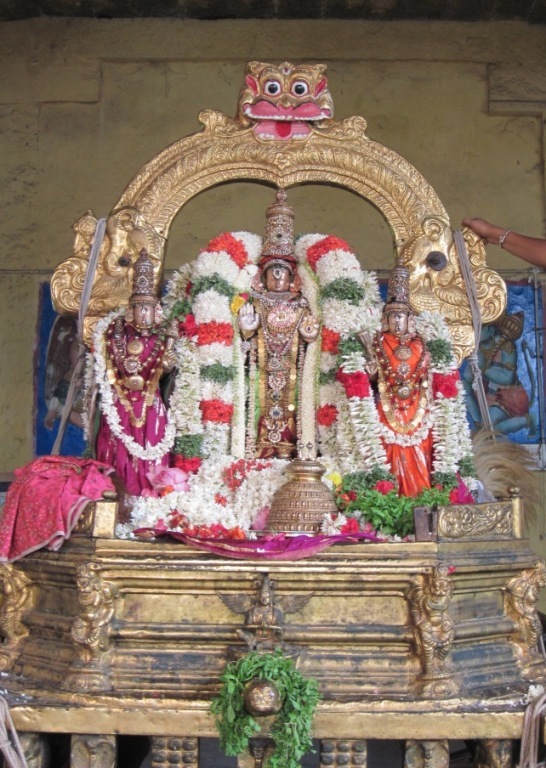 Perumal preceded by the pallaku of Senai Muthalvar.